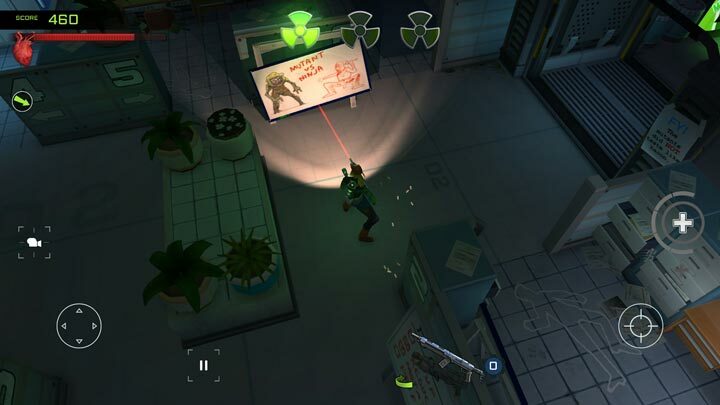 Pixelbite games, creators of the great game Space Marshals, have now brought us a brilliant twin-stick shooter with a very basic premise- kill all of the mutants. In their newest game, Xenowerk, the protagonist is sent into an underground laboratory to find out what happened and slay everything that isn't human through each consecutive descending level, which is quite literally, everything that is still moving. As an added bonus there are achievements for destroying vending machines. The game has a very Dead Space feel to it, but that works for it very well in its favor. Xenowerk is loaded with dark corridors and cramped areas swarming with mutated things trying to kill you. The levels begin with small amounts of mutants infesting the area, and by the end you are slaying hordes of them, ranging from small creatures to giant tank-ish brutes. Throughout the player's journey the mutants slowly gain their own new abilities, allowing for cloaking and acid-spitting. Giving this an added boost is the wonderful lighting effects. Because a lot of the compound is in the dark, the lighting comes from a weapon-mounted flashlight the player aims. It really adds a lot to the tone and it spectacular when using a flamethrower to blow up generators- the explosions look amazing for a mobile game. Xenowork features 50 levels filled with one of three basic tasks for your very Samas Aran looking heroine- kill specific mutations, blow up equipment, or retrieve data from computer terminals and then get to the elevator and exit the floor. It offers very repetitive missions and gameplay, but the entertainment value somehow manages to make the fun last throughout all of them. Along the way, you slowly accrue money to spend on gaining newer and more powerful weaponry and armor. Every new type of armor offers new abilities that may be unlocked by getting a kill streak. The powers start with a healing burst to regenerate health, but expand to give players a flash freeze, a speed boost, or damage increase. The weapons to choose from come in quite a wide variety to welcome a multitude of play styles. There are assault rifles, machine guns, rocket launchers, flamethrowers, an electricity weapon, and even a gun that fires bullets that ricochet around. 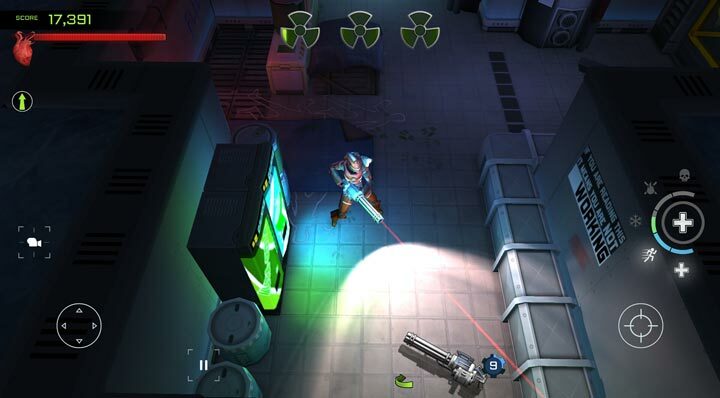 Each weapon can also gain levels by picking up blue gear drops from killing a bevy of mutants throughout the floors. Lowering the overheating time, increasing damage, or adding to the rate of fire speed. Xenowerk is the simplest of run-and-gun shooters, but it is also an incredibly fun one. It can be a bit monotonous at times, because most of the levels and enemies look relatively the same, but the consistent action and immersive atmosphere pull you in and make up for it. Xenowerk is a great mutant slaying horror-adventure. With the way the story ends, I really hope there is either an add-on expansion or a sequel. There's always room for more mutant slaughtering. Futurama: A Mobile Game is Coming Soon!